13:13 – Write a module or watch a game? 15:40 – Why do YOU think webinars rock? 30:10 – What makes an offer resistible? James: All right. So this next session is, we’re going to be talking about webinars and automation with a really cool presenter. Taki’s very high-energy. He’s super professional. He presents very well. Even his slides are beautiful. The guy is just an amazing operator. So I would like to introduce a good friend of mine, Taki. We’ve shared meals and burritos and events and stuff together, so come on up, Taki. The stage is yours. Taki: Oh, let’s do that. Let’s do it. Thank you, James. Of all of the introductions I’ve ever received, that was by far the most recent. Thank you. I reckon there’s two ways to teach and two ways to learn. How many ways? Taki: Dude, this would go really well if, when we play Simon Says, when Simon says you do. How many ways? Taki: Legend. There’s the old way and the…? Taki: New way. New way goes like this. Oh, the old way goes like this. Guy stands in the front of the room, does a lot of? Taki: And you fall a…? Taki: Right. Let’s not do that. Is that cool? Who’s ever run a webinar before? Taki: Awesome. You’re welcome. What I’d love to know just quickly is, who’s ever run a webinar before? Just shoot your hand up. Oh cool, that’s more than I thought. That’s excellent. Thank you. Who’s ever run a webinar with the purpose of selling something? Keep your hand up if you sold something. That’s really good. Super cool. That’s really helpful. OK. So, James has asked me to talk about two things. He’s asked me, number one, to talk about how to run a webinar that sells, and then secondly, he asked me to talk about how to put bums on seats and fill a webinar in the first place. Is that cool with you guys? Taki: Great. So, let’s just jump straight in. I’m a big fan of webinars. I think I ran my first one in 2009. Back when I had, actually it was a teleseminar and I made the mistake of trying to sell something online without having a website. It was completely unautomated, so I’m really glad that I found Ontraport a couple of years later. I think 2009. Actually, 2009 was when I first started with Ontraport, so thanks, dude, for putting that tool together. I reckon when we run a webinar, we’ve got two goals. The first goal is that we want to deliver a webinar that rocks hard. What’s the word? Yes, wants to rock hard. You know, that wants to deliver amazing value so even the people who don’t buy, get off and go, “That was amazing. Thank you so much for putting that together,” and walk away with some value and a smile. Is that cool? So, we want to do two things. Number one, we want to do a webinar that rocks hard, and number two, we want to run a webinar that converts like crazy. And a lot of people try to run a webinar that sells and so you have great conversion once, and all the people who run the webinar and didn’t buy tell their friends and never come back, and you squandered your opportunity. Does that make sense? That’s what we want to avoid. Are you feeling me so far? Taki: Yes, we want to, number one, rock hard, and number two, convert like crazy. Let’s just jump straight in. Here’s why I reckon webinars rock. There’s a bunch of smart people in the room. Some of you guys are already doing it, who are getting hip to the fact that you can run a webinar to attract and convert and deliver. Webinars to market and grow your list. Webinars to sell your products and services. And webinars to then deliver. Who runs webinars to teach stuff to their clients? Awesome. We’ll hang out. Awesome. Super. Super cool. 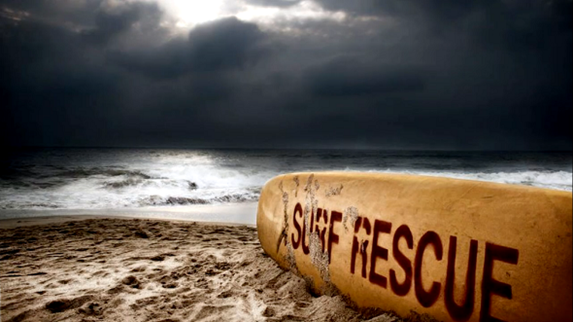 So, it’s a wave that we can catch, and I‘ve gone surf here for James. So, there’s a wave you can catch. Unfortunately, though, sometimes, the wave is not that great and we can screw it up pretty bad. I reckon there’s two big problems that happen when we try to run a webinar. 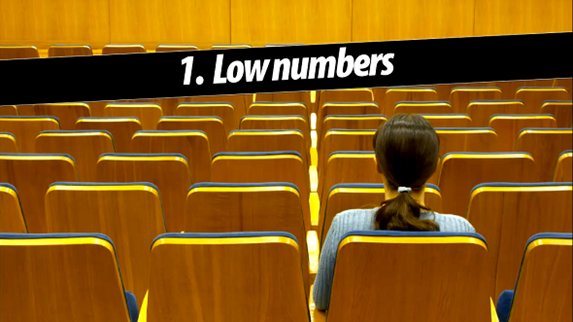 Our problem number one is we have low numbers. I was talking to someone on the break just before who did his first webinar, was like super, super pumped and he had six people on it, which is super cool for your first one, so kudos to you. But there’s nothing worse than trying to sell to an audience of one. Would you agree? Although if you had to choose between running a webinar to one or having a seminar and one person shows up, you’d choose the webinar every time. Right? I passed the interview which was somewhere else, and I walked in, he walked into his house. He said, “So this is your office,” and he pointed to the dining table. “Let me get things set up,” and he gave me a phone book and a phone. I thought I was a marketing manager. I’m some glorified cold call dude. Anyway, so he gave me this folder which had 74 pages’ worth of scripts and my job was to call through the list, get people to say yes to come in to a seminar at the Balmain Tigers Leagues Club. Has anyone been there? Glamorous, right? And the Legends room, about this big. And so, I did what I was told. You know, I jumped on the phone and I followed the script. And there was like, blue was what I said, black was like to transition from one section of the script to the next, and red was what they were meant to say back. Do you ever notice when you’ve got the perfect script, the prospect doesn’t? “No, no, no, Mr. Prospect, you were meant to say, ‘Taki that sounds amazing, I’ll sign up right now.’” And that never happened. share the love 3 2 1 ! This post has truly demonstrated the power of webinars to grow businesses. I believe we need a sizable number of subscribers before it is worthwhile to conduct a webinar. Is that true? What are your thoughts on it? You don’t need a large audience. Dude this was awesome! Taki Thanks so much for this. James, thank you thank you thank you for posting this. What a phenomenal presentation. The coolest part, is when you break down what Taki was saying, and then use his structure as a lens to view his presentation, he follows it almost exactly. So cool. I learned so much from this. One of the best presentations ever. 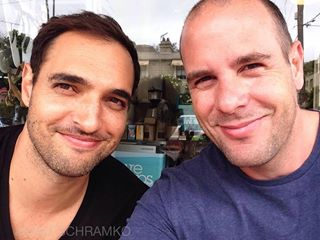 James, did I hear correctly on another podcast that you and Taki will be doing a podcast together? Has that started already? I tried searching but didn’t find it. So looking forward to that even more now! This is incredible content. Thank you James and Taki. My business partner and I are already discussing how to implement. Stay tuned for results. Amazing content. 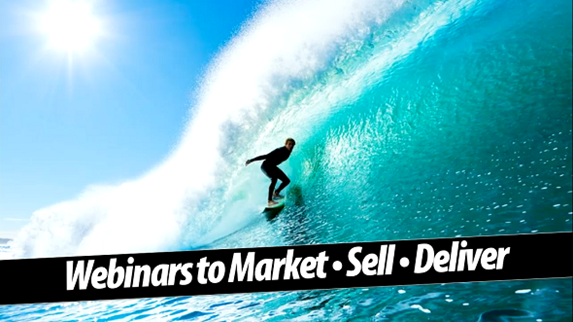 If you’re thinking about doing anything related to webinars…this is a must watch. Watched it twice in fact.